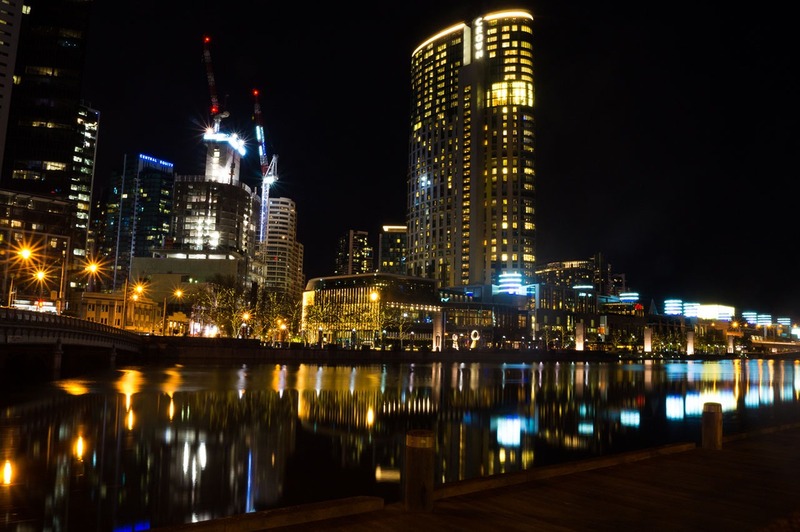 With a return trip to Melbourne on the cards, I wanted to take this opportunity to share the last of my initial attempts at capturing the night time allure of the city. The end game being that next time I find myself in the CBD I’ll be able to produce much better, impressive photography, and then we can take a look at how much (if at all) I’ve improved! Fun, right?I started out trying to get the flame pillars outside Crown casino, though I failed miserably. I did manage to sort of capture them though, and I’m quite happy with the almost two-tone lighting situation I going on in this one. 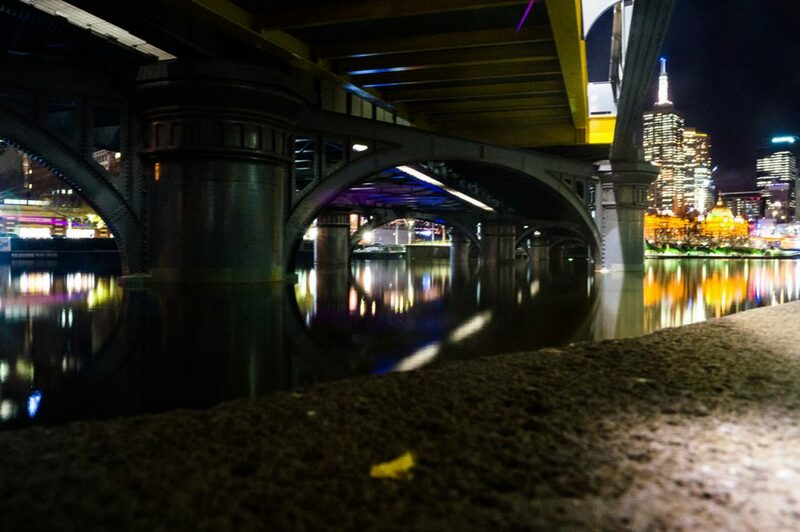 I’ll note here that at this point in time I was lacking core resources such as a tripod, which made things ever so slightly more difficult.I had the excellent idea of taking a photo underneath a bridge, to try and see if I could capture a cylindrical reflection. I didn’t manage it, but it came out alright in the end. That’s if you excuse the terrible focus on the ledge I had to rest my camera on. Shame about the vibrant background – that probably would’ve made a much better picture. 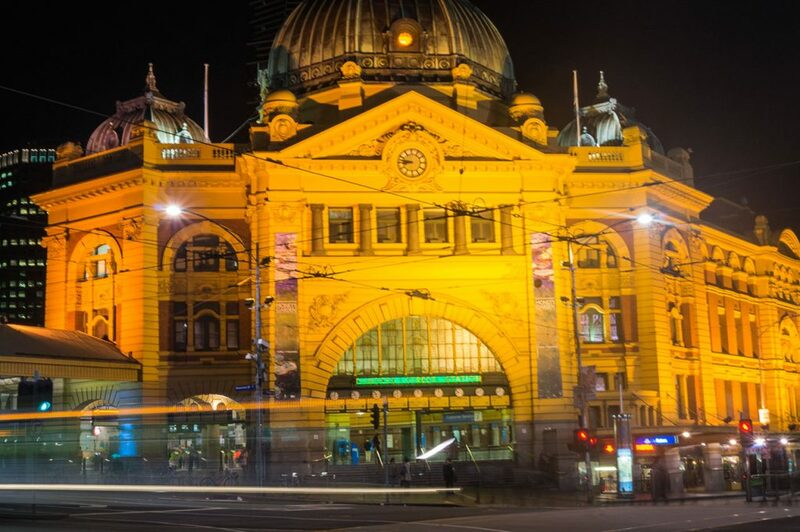 Following on from this one, I decided to try my hand at Flinders Street Station, knowing full well that it’s almost always lit up and bright yellow. The problem at Flinders was mostly due to the number of people and the nearby traffic. I ended up with a few light trails from buses and cars whizzing past. Still, it counts. 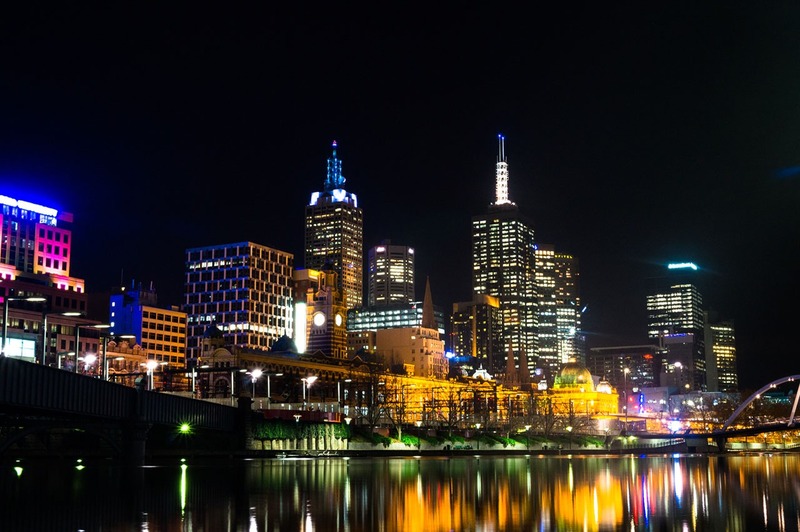 Which finally leads me on to my favourite shot of night-time Melbourne. 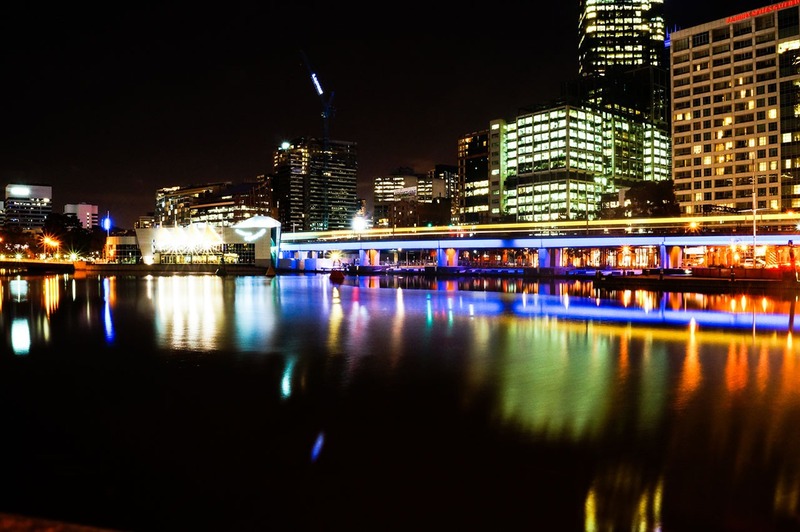 It’s partly because of the amount of the skyline that I managed to get into the photograph, but also the different colours, reflections etc. I like the way it ties itself together, though the focus isn’t great so it can certainly be improved. And there you have it. They’re my ‘current’ crop of photos, which hopefully will be retaken and improved upon in the not-too-distant future.Feel free to share your efforts in the comments below!